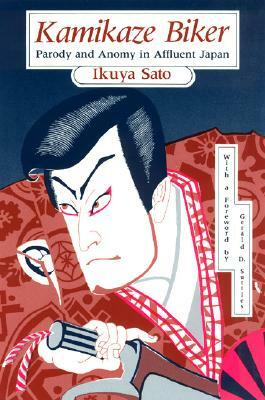 *Author: Sato, Ikuya *Subtitle: Parody and Anomy in Affluent Japan *Publication Date: 1998/06/20 *Number of Pages: 277 *Binding Type: Paperbound *Language: English *Depth: 0.75 *Width: 6.00 *Height: 9.25. There's no greater feeling than getting the perfect item with the most features at the lowest price. Buying Kamikaze Biker By Sato, Ikuya through an authorized dealer such as UnbeatableSale.com is the only way to ensure its quality and authenticity. This item is currently available for the everyday price of $39.35, a discount of 5% off the list price. UnbeatableSale.com offers domestic shipping options for your convenience and even ships to many international locations. Don't forget to check out today's Unbeatable Deal for a great product at an unbelieveable price.